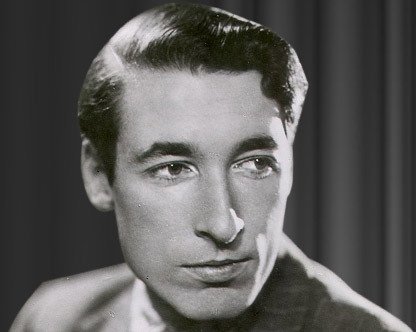 (Frederick) Louis MacNeice was born in Belfast in 1907. At the time of his birth, his father, John MacNeice, was Church of Ireland rector of Holy Trinity, Belfast. A year later he became rector of St Nicholas's in Carrickfergus (and would later become Bishop of Down, Connor and Dromore). MacNeice’s mother, Elizabeth, died in 1914 and his father remarried in 1917. Shortly afterwards MacNeice was sent to school in Sherborne in Dorset and his education continued at Marlborough College where his contemporaries included John Betjeman and Anthony Blunt, the latter remaining a lifelong friend. At Merton College Oxford, where he studied classics, MacNeice met W.H. Auden. Together with Stephen Spender and Cecil Day-Lewis they would be identified as the 30s generation. In his final year at Merton, MacNeice published his first collection ‘Blind Fireworks’ (1929) which attracted the attention of T. S. Eliot, then an editor at Faber with whom MacNeice would publish for the rest of his life beginning with ‘Poems’ (1935) and ‘The Earth Compels’ (1938). After Oxford, MacNeice took up a lecturership in Classics at Birmingham University where his head of department was fellow Ulsterman E. R. Dodds, another lifelong friend and mentor. His first marriage in 1930 did not last and, following the split, he moved to Bedford College, University of London with his young son, Daniel (b. 1934), in the autumn of 1936. In 1939 he published ‘Autumn Journal’ based on his own experiences and memories, but also expressing a full sense of the worsening political situation in Europe. Section XVI concentrates on his relationship to Ireland which is never easy but is never to be broken completely; ‘The woven figure cannot undo its thread.’ The outbreak of war made MacNeice’s concerns more than abstract personal matters as ‘The Strings Are False’, the incomplete autobiography he worked on at this time, makes clear. Having applied unsuccessfully for the chair of English Literature at Trinity College Dublin, he returned to the US to take up a post as lecturer in poetry at Cornell University. When the appointment was extended, MacNeice resigned his post at Bedford College and spent most of the 1940 in America. His reason for returning to London was, as he put it, that he was ‘missing history’. Deemed unfit for military service he joined the BBC Features Department where he would remain – with some absences – for the rest of his life working as writer, producer and radio dramatist. His employment enabled many trips to Ireland over the next decades, some to make programmes, but many to see rugby matches. He married again in 1942 to Hedli Anderson, a well-known singer, and their daughter, Brigid Corinna, was born in 1942. Despite the pressures of the war the 1940s were a productive decade for MacNeice. His critical study of W.B. Yeats appeared in 1941, his radio play ‘The Dark Tower’, with music by Benjamin Britten, was produced in 1946 and two individual volumes of poetry were followed by a ‘Collected Poems’ in 1949. He also recruited W.R. ‘Bertie’ Rodgers to the BBC and became friendly with Dylan Thomas. In 1950-51 he was Director of the British Institute in Athens and the 1950s were a restless decade with extensive travel, increasing marital difficulties, and a perceived weakening of his poetry: 'This middle stretch/Of life is bad for poets' as MacNeice puts it. Nevertheless, his reputation was recognized by 1957 with the award of an honorary doctorate from Queen's University and in 1958 a CBE. His marriage to Hedli finally ended in 1960 and he entered his last major relationship, with the actor Mary Wimbush. He also negotiated a new contract with the BBC which allowed him to freelance for half the year. While recording sound effects in a cave in Yorkshire for his radio play ‘Persons from Porlock’ MacNeice contracted viral pneumonia and died in 1963. His ashes are interred in Christ Church, Carrowdore, Co Down.